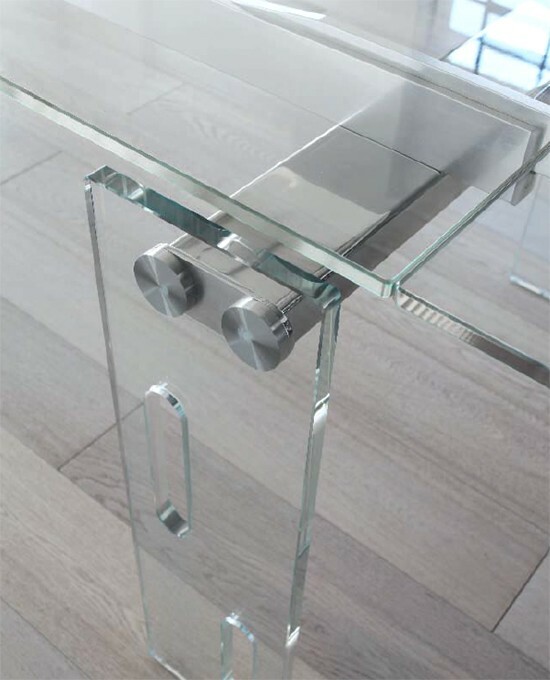 A stunning dining table in 12mm thick extra clear glass. Available in fixed or extending versions, the extending version has an aluminium extension mechanism. 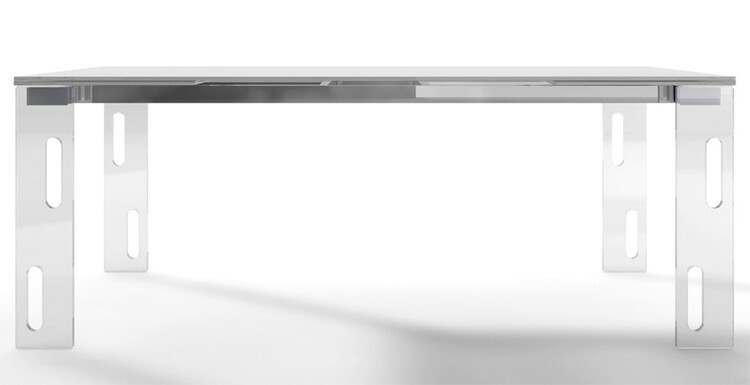 The simple design allows the quality of the materials and craftsmanship to speak for themselves.